One of our favorite Christmas traditions in Italy — one of our favorite Christmas traditions anywhere, really — is the food. And Italy certainly delivers on the food. 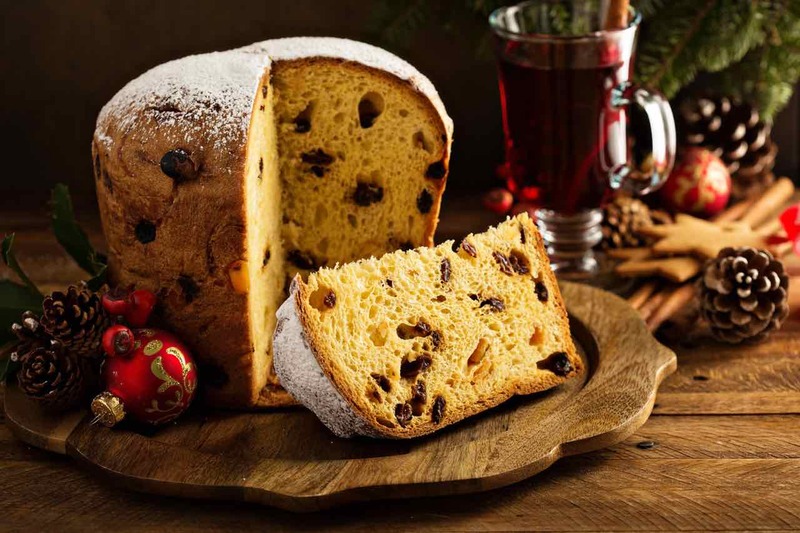 For sweets, make sure to try panettone: a sweet loaf with nuts, raisins, and fruit that is apparently so popular that people have to eventually re-gift some of the dozens of loaves they receive. Can we sign up to be permanent recipients of this re-gifting? Antico Forno Roscioli is supposed to be one of the best places in Italy for panettone (and a variety of other mouth-watering pastries). 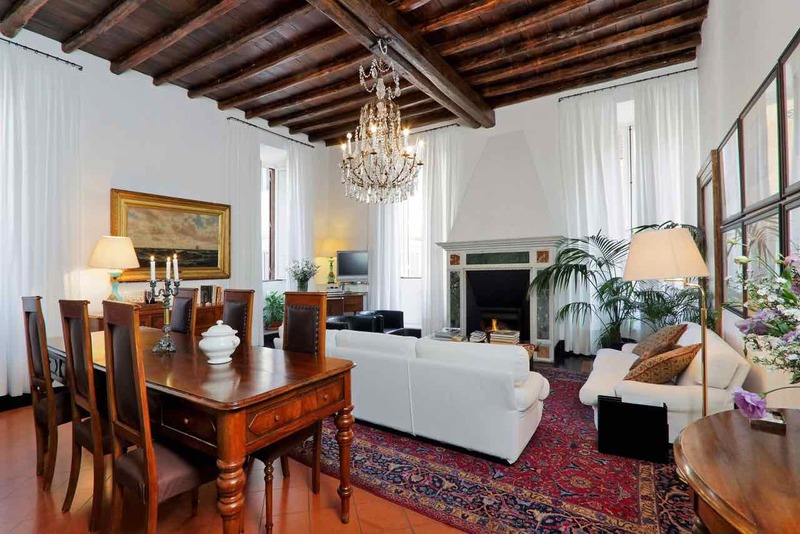 It’s located in the Navona-Campo Fiori neighborhood, right near a few of our properties like the popular Landini apartment! As for Christmas Day, it’s tradition to have a long Christmas lunch, and in many regions the meal has to include fish. Christmas lunch often lasts so long that it just continues on to become Christmas dinner. Why not? Many shops and attractions are closed on Christmas Day so that everyone can relax and spend time with family and friends, so even if you don’t plan to have a day-long lunch, know in advance that this will be a day for relaxing more than sightseeing. 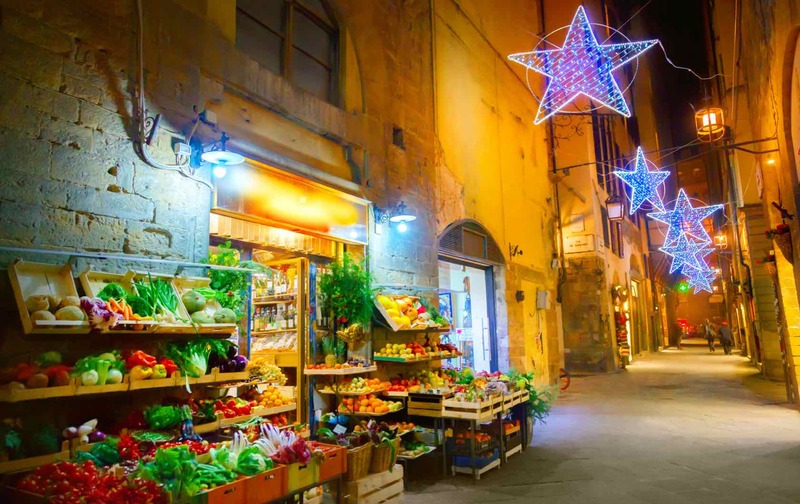 Another of our favorite Christmas traditions in Italy: the festivities! The Italians strike a nice balance between respecting the sacred nature of Christmas with church services and respecting the sacred nature of parties with street festivals. For practicing Catholics, a truly once-in-a-lifetime experience is the Christmas Eve church service at Saint Peter’s Basilica. They recommend booking months in advance to secure your seat among the other 15,000 (!) patrons in Saint Peter’s Square. If you get a good enough spot, you’ll even get to see the Pope make an appearance. If you want a more intimate service, there are also several English services to be found in Rome, including Saint Patrick’s American Community. If you’re in Italy earlier in the month, you can also join in the celebration of the Immaculate Conception on December 8, which is a national holiday that celebrates the conception of Mary and starts off the Christmas season. And if you’re in Italy later on, after Christmas has passed, don’t worry — the celebrations just keep on happening. January 6 is the celebration of the Epiphany, and the tradition here is that an old witch named Befana travels around leaving candy for good children and coal for naughty children. For adults, there are parades, bonfires, and, of course, more food. Though this tradition of the witch may seem a bit odd, its roots are actually quite nice; this time of year is meant to symbolize the old giving way to the new, to start the year off right. Another of the popular Christmas traditions in Italy is the giving of gifts. 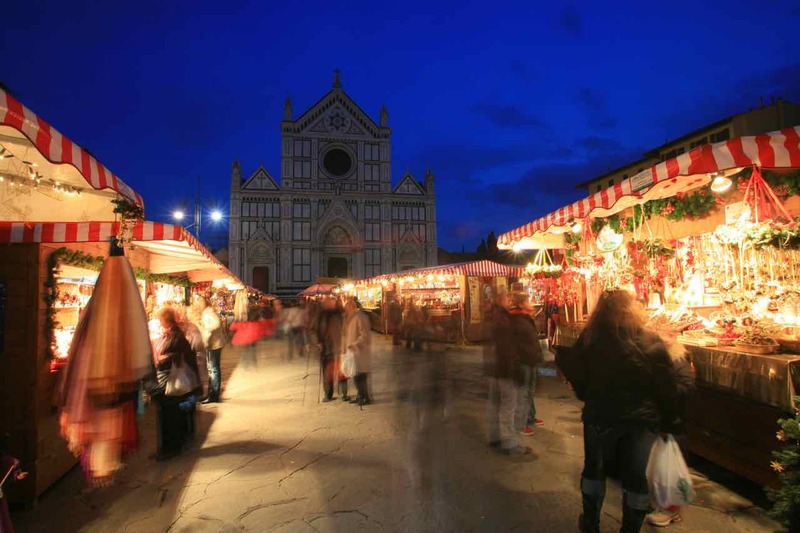 Christmas markets are popular throughout Europe and Italy is no exception! The traditional Italian Christmas craft that makes a great souvenir and an even greater gift is a hand-carved nativity scene. The craft originated in Naples, but now you can find plenty of beautiful options for sale at all of the Christmas markets in major Italian cities. In Florence, you can’t miss the massive Christmas tree and lively market at Piazza de Santa Croce, with one of the city’s most beautiful churches as its backdrop. If you’re interested in those two markets and the other holiday festivities make sure to book a villa or apartment several months in advance, as this area is popular during the holiday season. 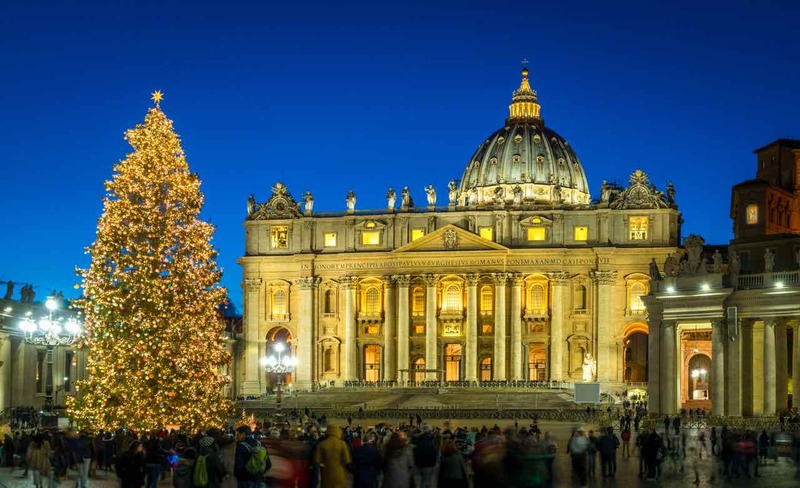 So there you have it — some of our favorite Christmas traditions in Italy. Have we convinced you to give it a shot? If so, Contact Italy Perfect and we can help find the best apartment for you and your whole family to celebrate the season together. Email us at [email protected] or call toll free in North America at 1-888-308-6123.